If you read my blog regularly, then you know that I have two young kiddos. And I think that anyone who has little children needs to protect their phone with a good case and screen protector. My phone is my livelihood, so I can't have it be broken. I recently put a glass screen protector on my phone and I think they are the greatest thing ever invented. I received the opportunity to review one from intelliARMOR and I knew I wanted my sister-in-law to test it out because she has the WORST luck with cracking her screen. 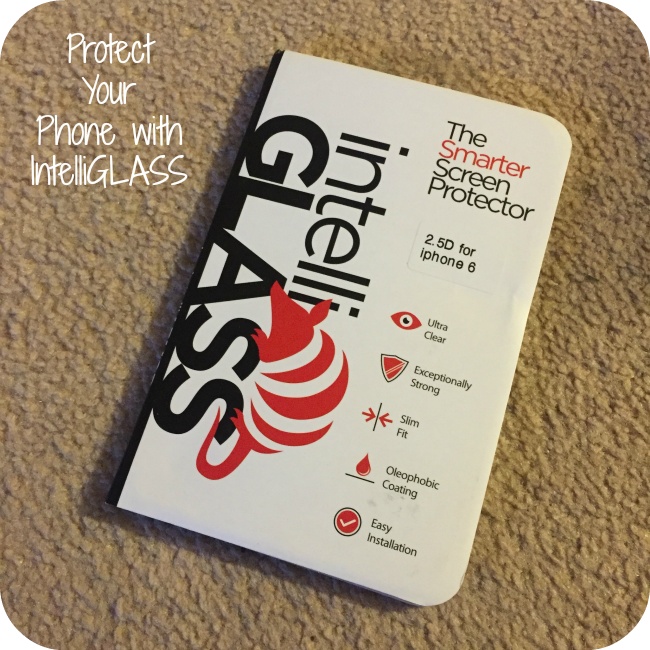 IntelliGLASS is intelliARMOR's leading line of screen protectors. They are crafted with a unique layering process that has an advanced silicone base layer that adheres to your phone or tablet’s screen easily and without bubbles - all while leaving no residue. The intelliGLASS glass screen protector has an ultra-hardened REAL glass layer that has been specially treated to have greater scratch resistance than steel. I tried to scratch it with a set of car keys and my phone was safely protected. You will scratch or break the screen protector before your screen gets cracked. It also has an oil and smudge resistant outer layer that repels fingerprints and makes cleaning your phone’s surface a snap. They also have screen protectors for tablets, so my next purchase is definitely going to be an intelliGLASS screen protector for our iPads! One lucky reader will win an intelliGLASS screen protector. Entry is simple, just follow the prompts on the Rafflecopter below. Open to US only, must be 18+ to enter. Winner chosen via Random.org through Rafflecopter. All winning entries are verified. Please follow us on Facebook to stay up to date with our current giveaways. Check out other featured products in our Holiday Gift Guide and Good luck! This is a sponsored review and giveaway. All opinions are my own. This giveaway is open to US only, must be 18+ to enter. One entry per household/IP address. No social media was involved in this giveaway in any way. Winner is chosen via Random.org through Rafflecopter. ALL winning entries ARE verified. Winner will have 48 hours to respond with all information in email or another winner will be chosen. If you would like to see your product featured in our Holiday Gift Guide or sponsor a giveaway event, please contact us. Since they don't have one for my phone I would get one for my hubby's Note 4! I would need one for the iPhone 5c if I won! If i won I would need the cover for the iphone 6! I would choose the intelliGLASS HD - Apple iPhone 5/5S/5C Screen Protector if I won.